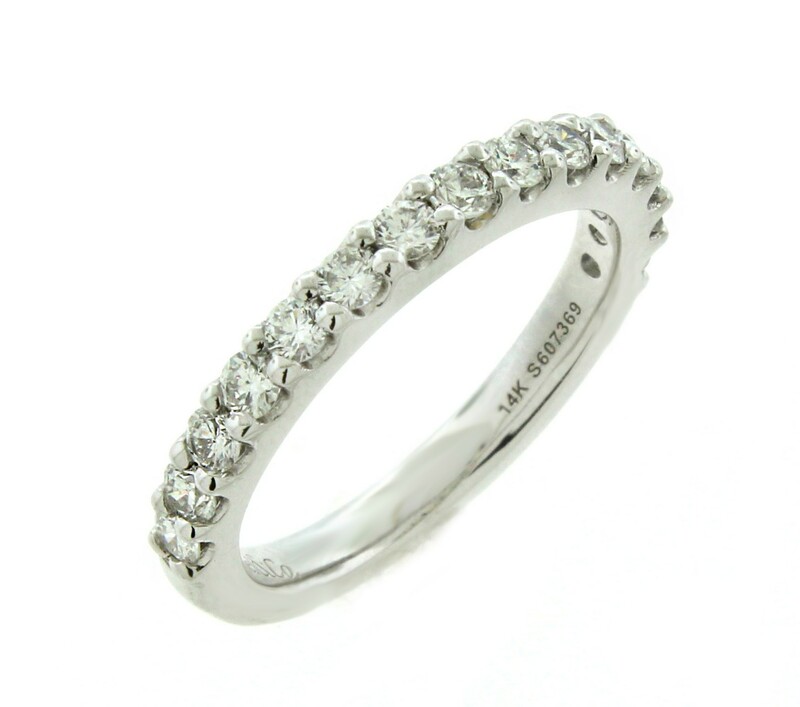 This Gabriel and Co. diamond band is crafted in 14K White Gold and features (15) Round Brilliant Cut Diamonds totaling 0.53 Carats, that are G-H In Color, SI-VS cn Clarity. The diamonds in the band are all set in prongs. The ring is a size 5 and can be customized to fit any size finger.